Guided Redwood Forest and Oregon Coast Tours, Enlightening Adventure! A veritable journey through some Oregons most fantastic landscapes. Be astounded by the towering majesty of the Redwoods. 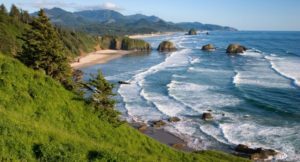 Then its on to the Oregon Coast, which beckons you with its dramatic sea-stacks and alluring tide-pools. Ride along with a knowledgable guide to the Northern California Redwoods & Southern Oregon Coast for a full day’s journey or enjoy overnight at a select lodging establishment. No where else can you, your family, and friends have an escorted, custom tour to the breathtakingly beautiful Redwoods National Forest and the Southern Oregon Coast all in one day. Or add overnight lodging and stretch it to two days! You will ‘Learn the Lore’ of a rare part of America’s Pacific Northwest Gold Coast, from Native Americans, to early explorers, to famed fisherman and their trade. Pickup is from the location of your choosing, Ashland/Medford or Grants Pass at 8:30 am and traveling on the Beautiful Redwoods Highway. 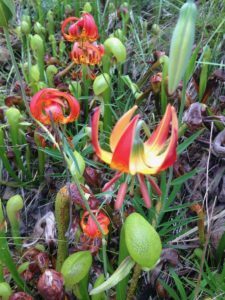 Stop at Stoney Creek Trail-Smith River National Recreation Area near the town of Gasquet, CA, along Redwood Highway 199, to enjoy the botanical wonders of the Smith River Region, showcasing Darlingtonia or Pitcher Plants: Oregons endemic carnivorous plants. 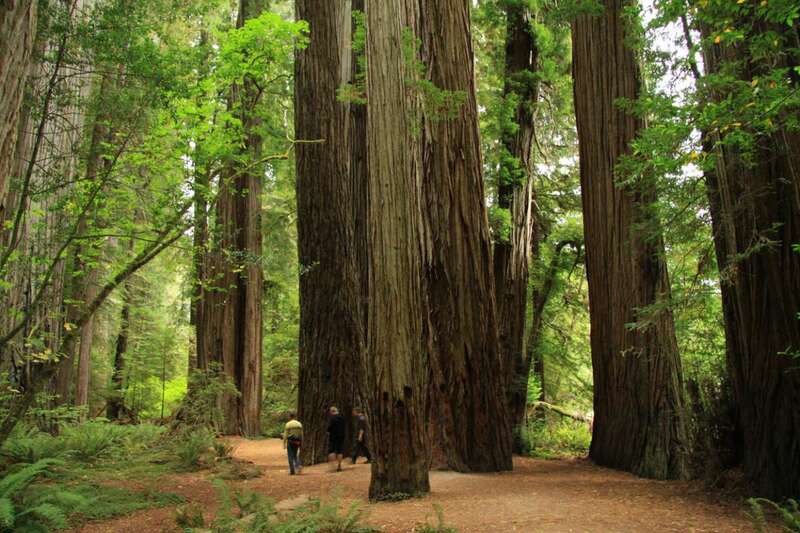 We will stroll in the Giant Redwoods of the Redwoods National Park near Jedediah Smith State Park. Travel Northwest on the Hwy 101 through tulip farms to Brookings/Harbor (Oregon’s seaport towns) on the Oregon Coast.